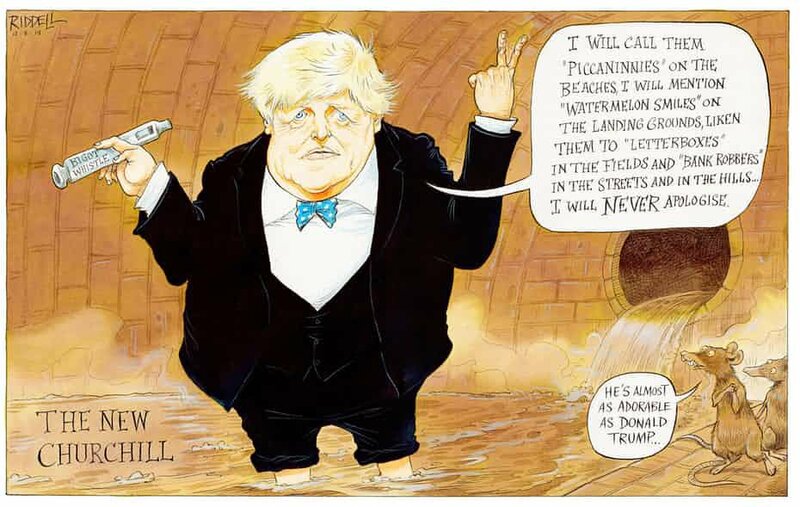 In The Guardian, Chris Riddell weighs in on former British foreign secretary Boris Johnson’s refusal to apologise for his comments comparing women in burqas to letter boxes. 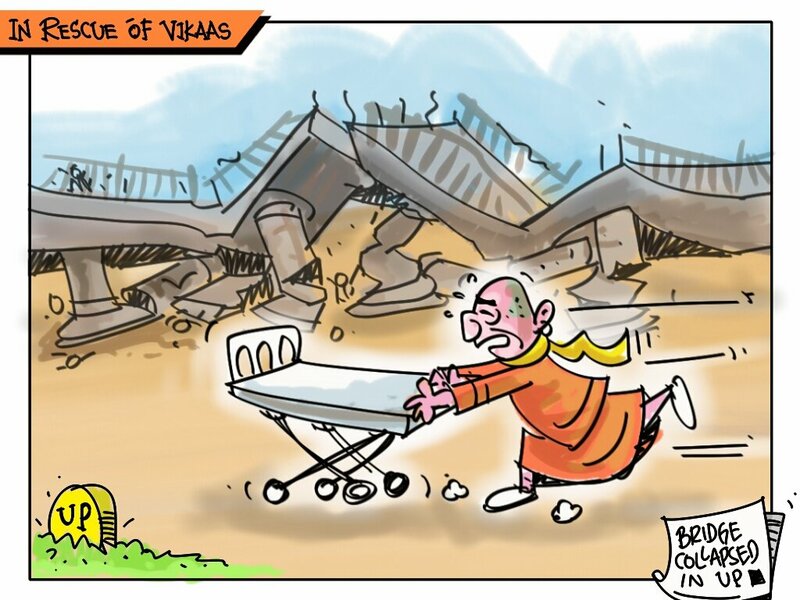 Mika Aziz offers his take on Saturday’s collapse of an under-construction bridge in Basti, UP, three months after an under-construction flyover came crashing down in Varanasi and claimed over a dozen lives. 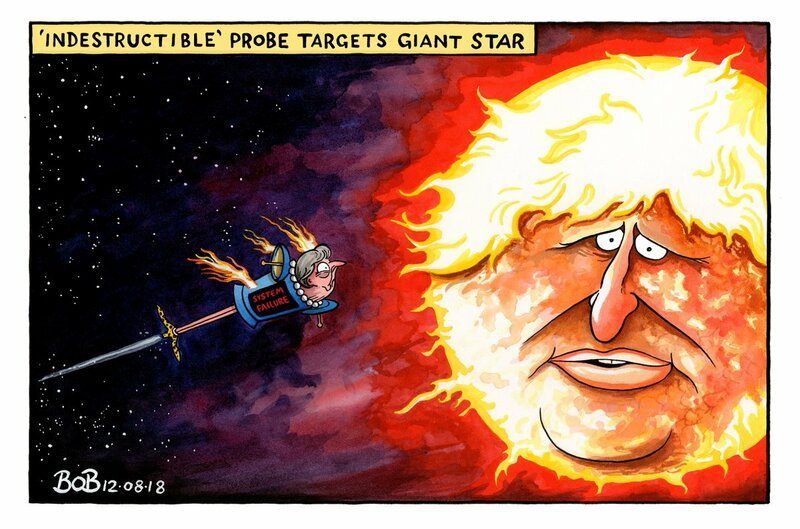 In The Telegraph, Bob Moran highlights the backlash UK Prime Minister Theresa May is facing from within her party for mulling disciplinary proceedings against Boris Johnson for his burqa comment. The Maldives has asked India to withdraw its military personnel and two helicopters from the country after the agreements regarding their deployment expired. 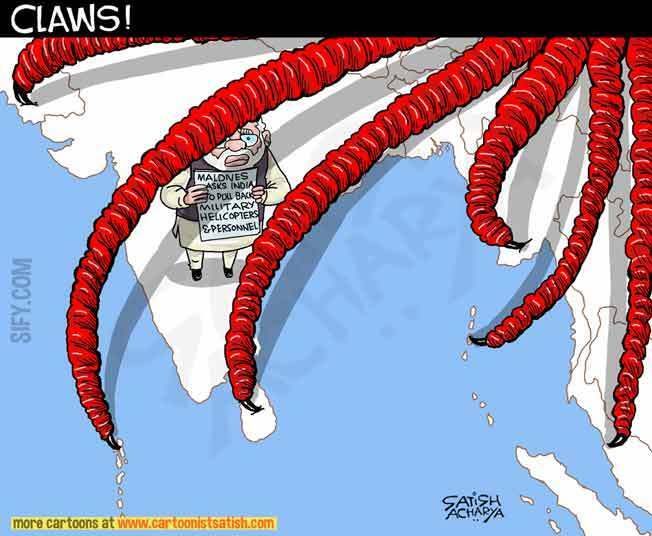 Satish Acharya, on Sify, suggests the role of a certain neighbour’s strengthening influence in south Asia. 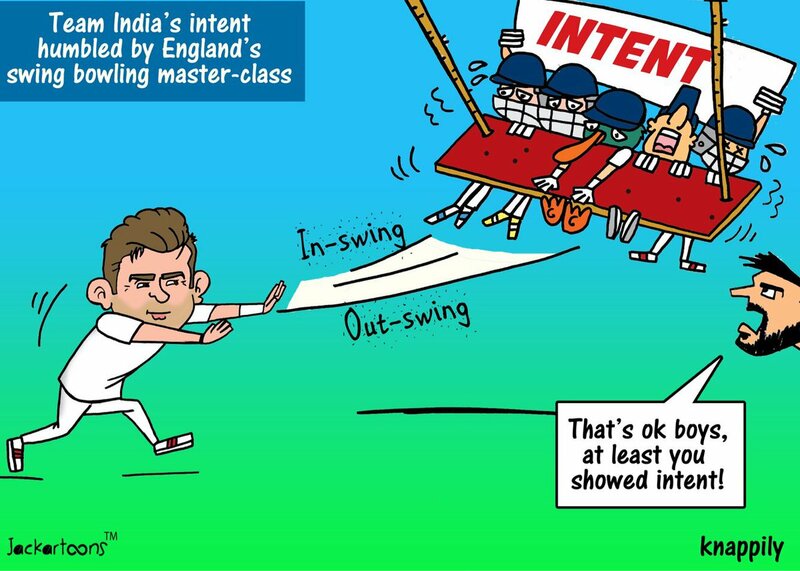 Sanket Jack takes on the demolition of the Indian cricket team – 107 all out – on day two of the second test match of the ongoing series with England. James Anderson of England alone took five wickets.